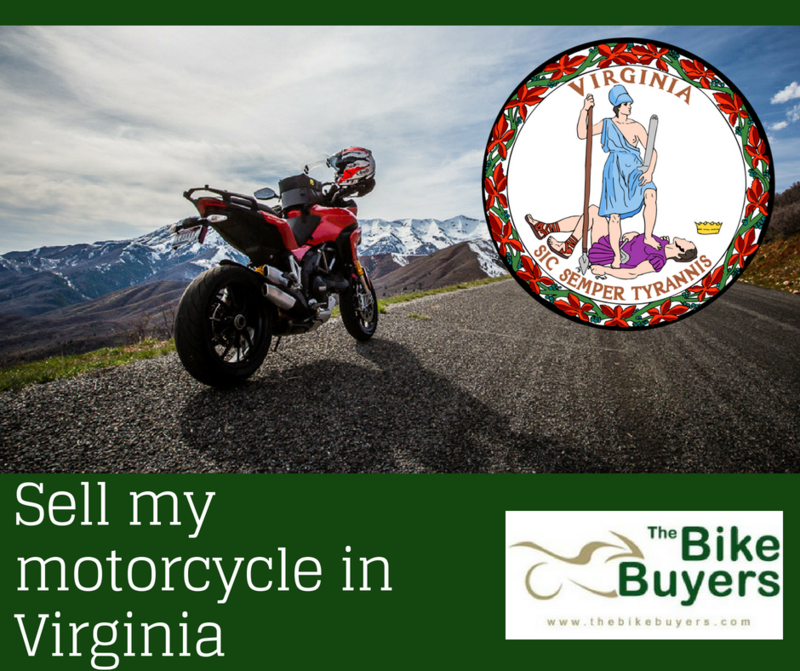 Are you looking for selling your motorcycle for good cash in Virginia? Look around your location there are many companies available for you. But if you are interested in making good cash for your motorcycle, then come only to TheBikeBuyers. We offer you to provide cash for used motorcycle than any other motorcycle buying company. We suggest best solution to our customers for selling their motorcycle for cash. Sell here your damaged, wrecked, junked motorcycle and enjoy our maximum cash offers. TheBikeBuyers.com is buying any type of motorcycle, sports bike, junked motorcycle, crashed bike for cash. You can sell here your motorcycle for instant cash. We also buy Harley motorcycle and we return you good cash for it. Only fill our online Get a Quote form regarding to your motorcycle or call us on the following number 877.751.8019.